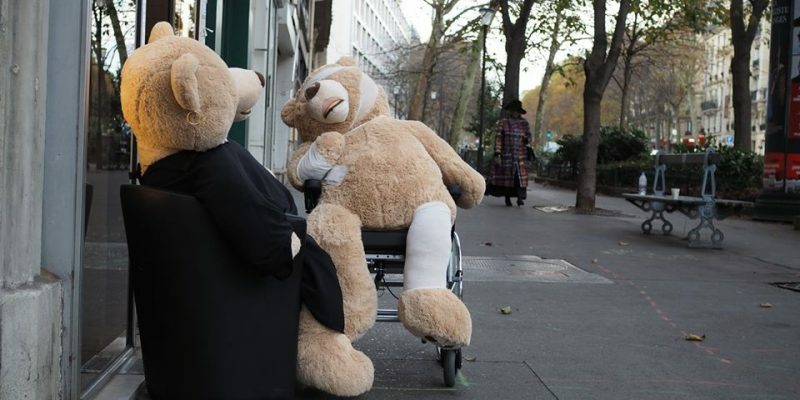 There's an army of teddy bears taking over a Paris neighbourhood! Home » Top Holiday Destinations » Europe Travel Blog » France Travel Blog » There’s an army of teddy bears taking over a Paris neighbourhood! 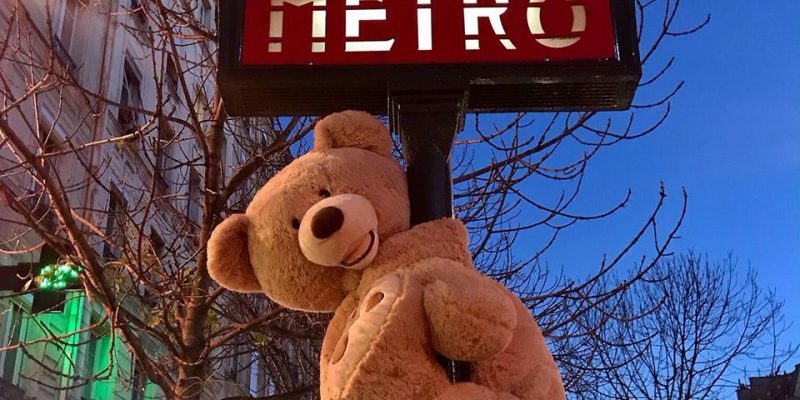 There’s an army of teddy bears that are fast conquering a major of Paris. Shocking, isn’t it? Wherever you go, they’re seen herding together. They’re at the hairdresser’s, on cafe terraces, in shopping malls, dining in gourmet restaurants and have taken over the metros too! This cute little surprise has been puzzling the Gobelins residents for a while now. It turns out that the local bookseller, Philippe is the man behind these delightful little teddies. He leads these bears to anyone who wants to transports them to different public places and put them there, just to spread it out. Each of them is at least a 1.3 metres tall imposing figure watching over the city. They’re so popular that there’s even a Facebook page named after them, called Les Nounours des Gobelins(The Teddy Bears of Gobelins). 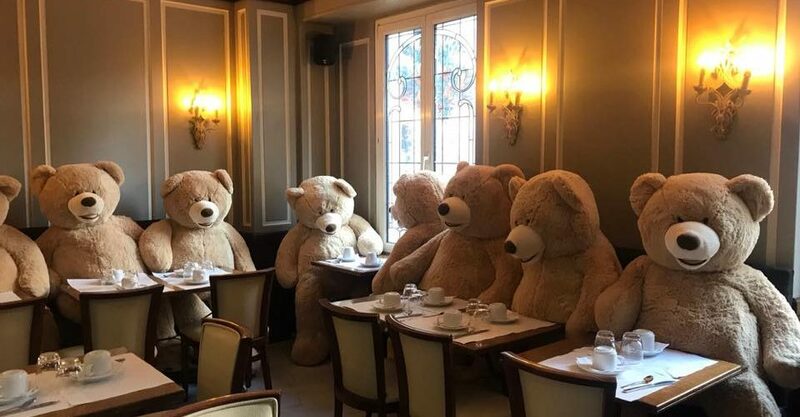 More often than not, they’re found alone going about their business but people go mad over the herds of teddy bears placed in public. The city loves them so much that Paris’s Mayor, Anne Hidalgo sent out a hearty tweet in their direction. 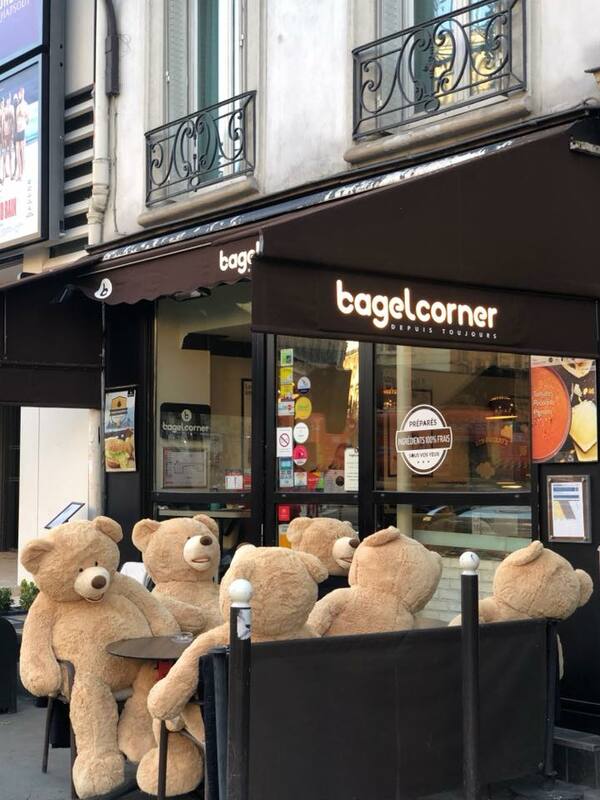 Philippe, the man behind these adorable teddies, told Le Parisien that he was delighted by the attention these furry members of the community got. He says, ‘I’ve been working in Paris for 25 years now. There are hundreds of people that I had previously not known. They call me Philippe now!’ smilingly. He promised that there is still a lot of time to check out these bears in the city. He has plans of doing this till the festive season comes to an end, in January. 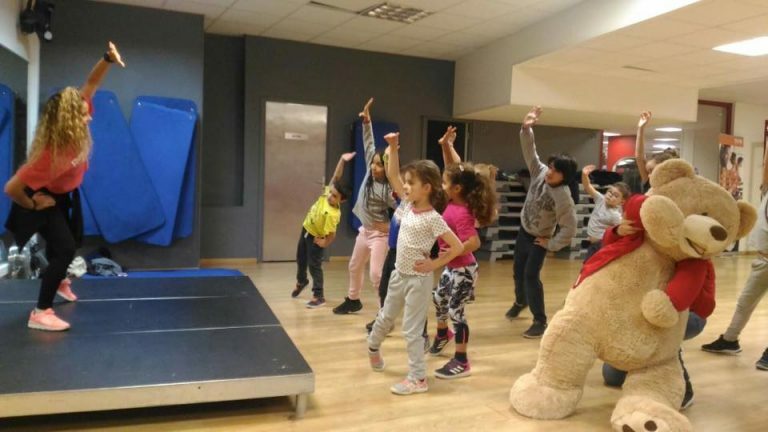 So go catch these super-cute teddy bears in action, while touring in Paris!